This is a topic I scribbled in a notebook before I even started the blog. It was a fall-back topic if I needed something to write about. Today I’m writing about it because it is genuinely on my mind. Back in the Spring, after church one day, I stopped for a quick chat with our minister. “Your spiritual mommies are so proud of you.” She said to me. Spiritual mommies? My mom had been in for a visit the week before, was that what she was talking about? I can’t remember if I asked or the look on my face asked for me, but she announced the names of two women in church that I had been in book group with and had a strong connection to. I thought of the encouragement they give me nearly every time I am in their presence. I have to admit that sometimes when they compliment me I think to myself that surely they are confusing me with someone else. I’m not sure that I’ve even met this person they describe. So Rev. Jean got me thinking about the spiritual mommy concept and I actually think that within my church I now have four. I sat with one of them on Sunday. When the service was over she hugged me and said “I love being in your essence.” Wow. This wise, beautiful, loving, strong, spirit-filled woman loves my essence? 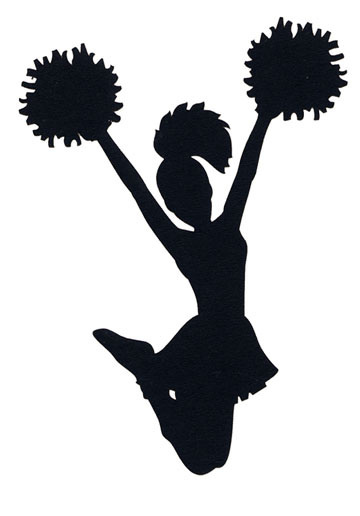 Aside from my “spiritual mommies,” I have other cheerleaders. I have a partner who quietly watches my success and then announces that he always knew I could do it. I have my writing fairy godmother who sends me emails after our Wednesday meetings and cheers on my work, reminding me to keep going. There is the occasional awesome soul who gets goose bumps when I share an idea I have or a project I’m working on. There are those who read what I’ve written and express how moved they are. There are those who hold a vision for my “career” that even I can’t conjure up. I don’t know if in the past I really recognized my cheerleaders. I think we often choose people in our lives that we want to support us and get disappointed when they don’t. I’ve been there too, sharing my dreams and goals to no avail. I’ve learned that I haven’t completely let go of a desire for approval from certain people in my life, but I have let go enough to see the loving support all around me. My cheerleaders are wonderful! They give me confidence when I am lacking in that department. They hold the high watch of my dreams when I am feeling frustrated and rejected. They see glimpses of the best in me and aren’t afraid to tell me so. I am so very grateful for all of them! I think we all have those cheerleaders in our life and it is awesome that you recognized them! Great post today–thanks for sharing!!! Gonna thank my own cheerleaders and spiritual mommies today! Thank you Beth Ann! So glad I’ve inspired some gratitude! Give me an “L”…give me an “E”…give me an “S”…give me another (ouch!) UUUUUooooo I pulled something, ouchieeeee. 🙂 I am so excited for you lady! I love you Jenny and am cheering you on too! You are awesome!!! Yes…those cheerleaders are so awesome, aren’t they? Sometimes we forget to recognize them. Great post and reminds me that I should take a moment to thank my cheerleaders, too. Well done my friend! I like being around your essence, too. You are such a calm soul and good influence. Thanks Barbara! I have been told I am very even keeled…. (is that the right word?). I read your post on the Loveolution and have been quietly “cheering you on” with each wonderful post. Keep on doing your thing–you have a following my dear. Thank you so much for stopping by from Loveolution. I am never quite sure who’s reading from over there. And thank you so much for the encouragement! !